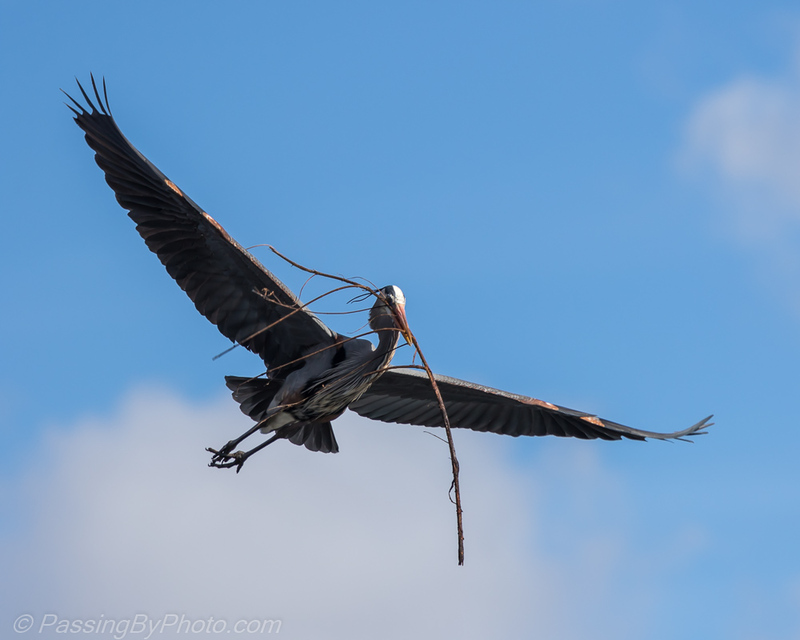 The flying is easy in the open as the male Great Blue Herons bring sticks to their mates. Until they get close in. 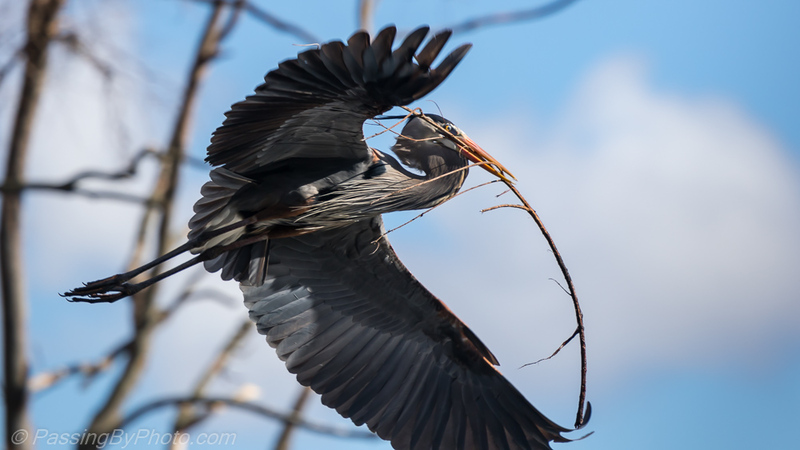 Maneuvering around the trees that support their nests is a bit tricky. 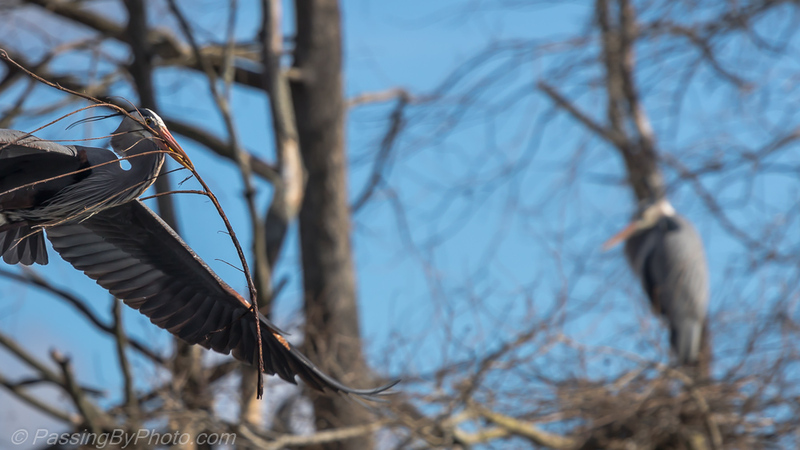 Sometimes they circle around several times before attempting a landing. The mate keeps a watchful eye. Magnolia Plantation Audubon Swamp, 01/11/2017. It does look somewhat tricky. Fun to watch and photograph. Nice action shots! Thanks, Belinda. 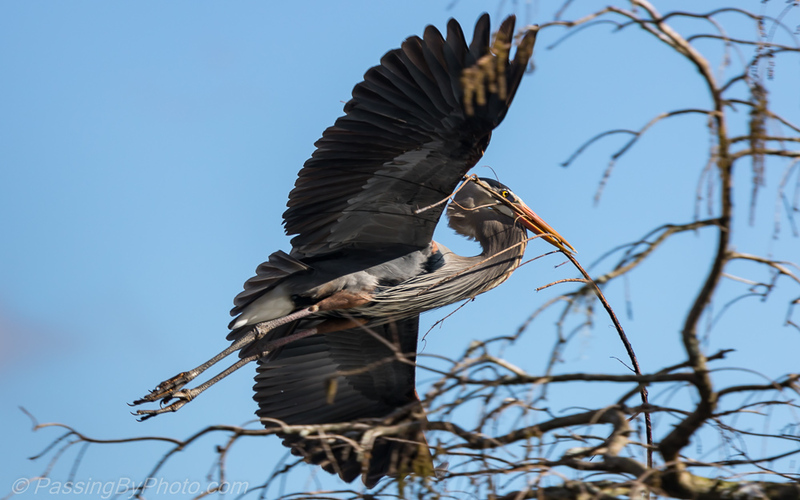 We are having a lot of fun watching the GBH go through their rituals.